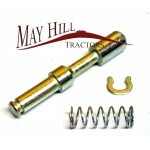 Ferguson TE20 Tractor PTO Adaptor 1.1/8" to 1.3/8"
PTO Adaptor - Bolt type (Standard Duty). Adaptor Length: 6. 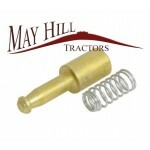 1/2" (165mm). Female Ø1. 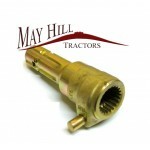 1/8" x 6 Spline..
Ferguson TE20, TEA, TED, TEF Tractor PTO Adaptor 1.1/8" to 1.3/8"
PTO ADAPTOR suitable for converting 1.1/8" to 1.3/8" ideal for Ferguson TE20 Series PTO Adaptor - I..
Ferguson TE20, TEA, TED, TEF Tractor PTO Overrun Clutch Converts 1.1/8" to 1.3/8"
PTO Overrun Coupler 1.1/8" to 1.3/8" Female spline is standard TE20 size 1.1/8" x 6 Spline and th.. 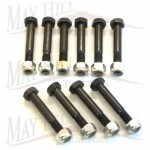 Metric Shear Bolt M10 x 60mm grade 10.9 x 10 pc ..
PTO Yoke Pin Assembly Fits British & American SK32 81/E, 1810351M91 Replaces OEM No: Massey F..
PTO Adaptor - Bolt type 1.3/8" Female - 1.3/8 Male 6 Spline. 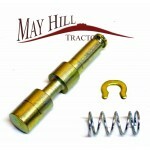 PTO Adaptor - Bolt type (Standard Duty). Adaptor Length: 6. 1/2" (165mm). Female Ø1. 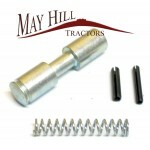 3/8" x 6 Spli..
PTO Adaptor - Quick Release (Standard Duty). Adaptor Length: 6. 1/2" (165mm). Female Ø1. 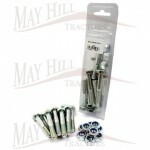 3/8" x 6 S..
Shear bolts Pack Qty-10 M10 x 55mm Fits Lely Model Roterra, Kuhn Belrecolt Power Harrow and many o..
PTO Coupling. Female Ø1. 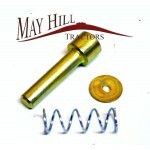 3/8" x 6 Spline. Length: 3. 3/4" (95mm). 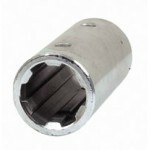 PTO Coupling. Female Ø1. 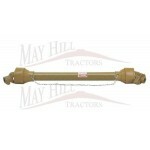 3/8" x 6 Spline. Length: 3. 3/4" (95mm). 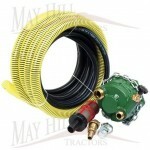 ..
PTO Driven Pump Kit. 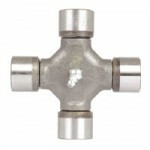 Self priming 1, 3/8" x 6 PTO fitting. 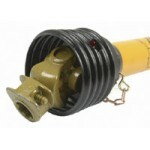 Supplied with Inlet hose Ø25mm & del..
PTO Shaft A5 1180mm - 1 3/8 x 6 Q.R. 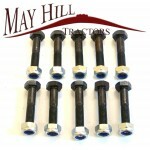 to 1 3/8 x 6 Shear Bolt Shear Bolt - Q.R. 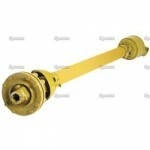 ..
PTO Shaft Details: PTO Shaft Complete. Italian Series: A8. 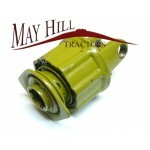 1 3/8" x 6 Spline Q/R - Friction ..
PTO SHAFT COMPLETE-A1 Details: PTO Shaft Complete. Italian Series: A1. 1 3/8 x 6 Q.R. 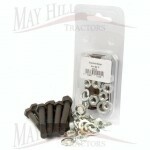 to 1 3..
(Qty 10) Shearbolt Pack M8 x 55mm Quantity in packet -10 Lely, Welgar Etc Replaces OE..
PTO Shearbolt Pack Welgar 5/16 UNC x 2" Qty-10 Fits New Holland 65E, 65, 68, 75, 78, 268, 27..
Universal Joint Cup Ø: 30mm. Overall Width: 106mm. German Ref: 23.00.00. Italian Ref. (Old): 7.41. 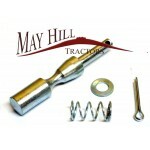 ..
PTO Yoke Pin Kit German Type Yoke 339 107 2000 Series Replaces OEM No: Waltersheid 65..
PTO Yoke Pin Kit for Quick Release PTO Yokes 12.6mm O.D, 80mm Overall Length ..
PTO Yoke Pin Kit (as picture) 12.9mm O.D, 54mm Overall Length Fits Various German Type Replac..
PTO Yoke Pin Kit Fits Various Italian Type Yokes 13.75mm O.D, 74mm Overall Length Replaces ..
PTO Yoke Pin Kit Various Italian Yokes 1.08.25.01, 403000001 Replaces OEM No: Walte..
Shearbolts - Quantity 10 M7 x 50mm Suits Welgar AP61, AP52, AP53, AP63 (Square Balers), RP150, RP1..
PTO Adaptor - Quick Release (Economy). Adaptor Length: 6. 1/2" (165mm). Female Ø1. 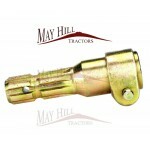 3/8..
Tractor PTO Overun Coupler Female Ø1.3/8" x 6 Spline. 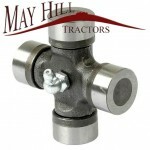 Male Ø1.3/8" x 6 Spline. 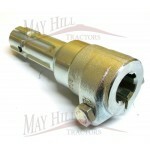 Increases length by ..
PTO Shaft A4 880mm - Male 1.3/8" x 6 Quick Release. 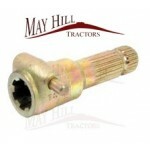 Female 1.3/8" x 6 Shear Bolt Type PTO Shaft Com..
PTO OVERUN CLUTCH-10S/A1 PTO Over-run Clutch - 10S/A1. Size: 1. 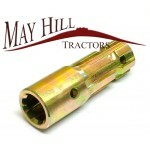 3/8" x 6 Spline. 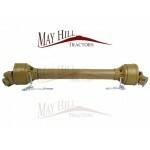 Tractor PTO Rotati..
U/J 34.9 x 106.4mm ..
PTO Air Compressor - Twin Cylinder • Compressor is attached to the tractor and secured by top lin..
PTO Adaptor - Quick Release (Standard Duty). Adaptor Overall Length: 6. 1/2" (165..